AdMob data reveals that In the worldwide market, Apple advanced its lead in smartphone traffic share from 43% last month to an even 50%. Symbian slipped from 29% to 25%, while third place Android grew from 10% to 11%. 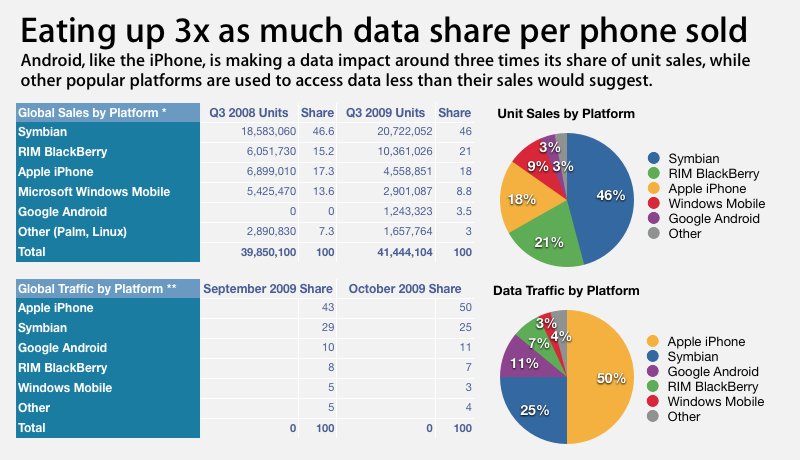 RIM's share fell slightly from 8% to 7%, Windows Mobile dropped from 5% to 3%.